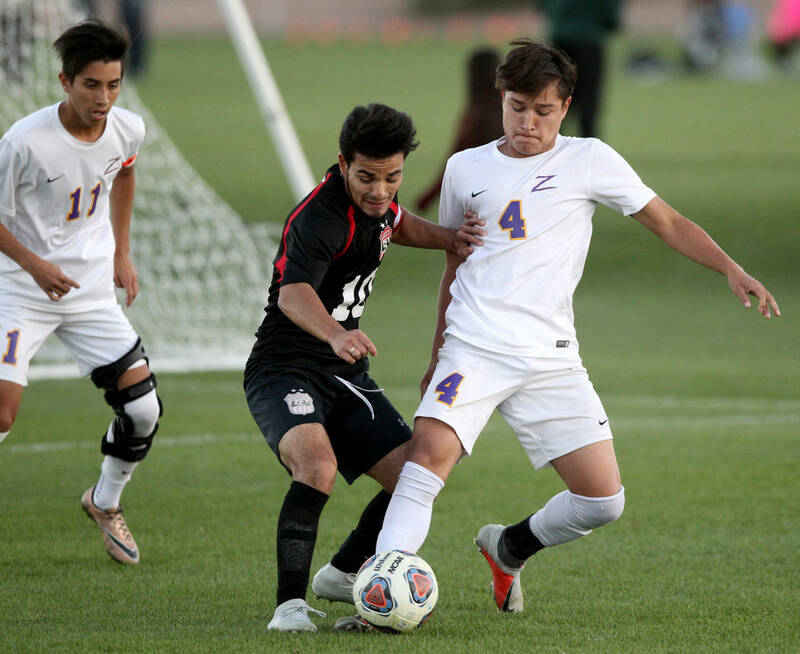 Rigo Carrasco scored in the second minute, and Las Vegas High added three second-half goals to run away from Durango 4-0 Friday night in the Class 4A boys state soccer semifinals. 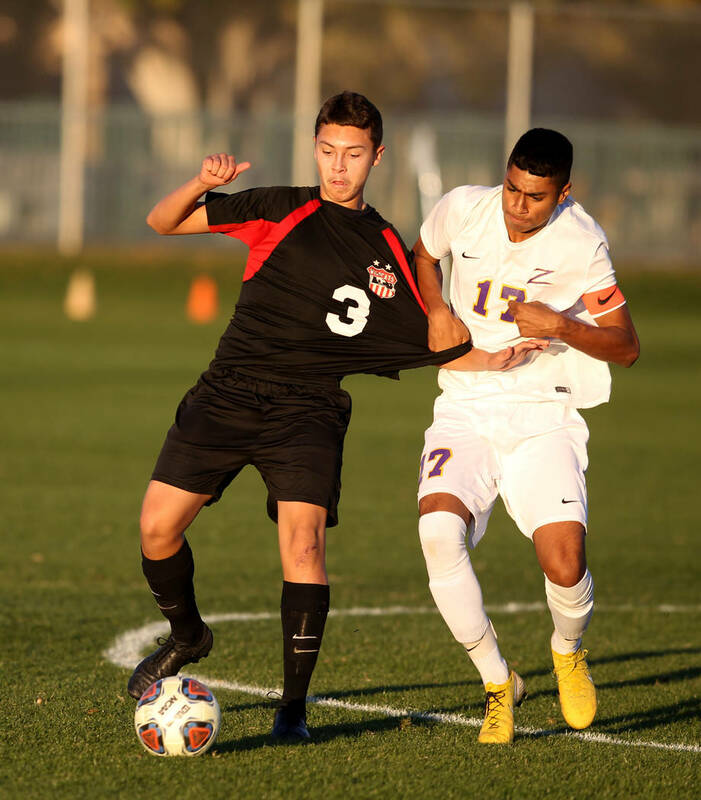 Las Vegas High has lived a pretty charmed 2018. 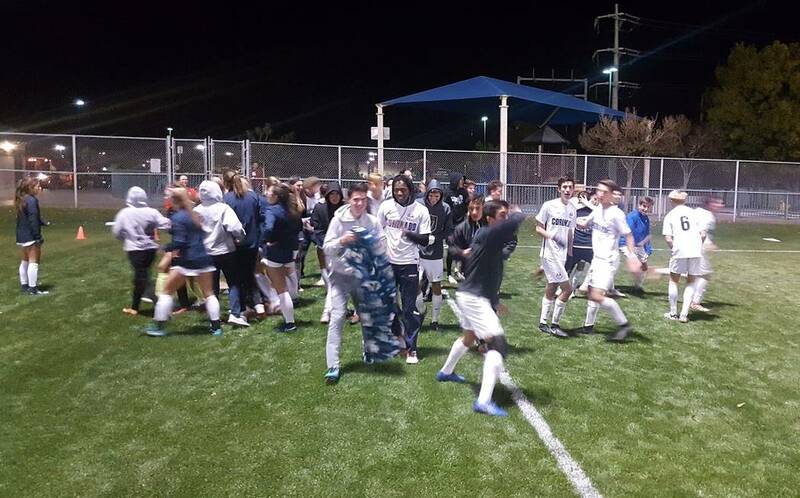 The Wildcats rolled through the regular season with one loss, won the Mountain Region title, captured the Southern Nevada Championship and now will be playing in their first state championship game since 2009. 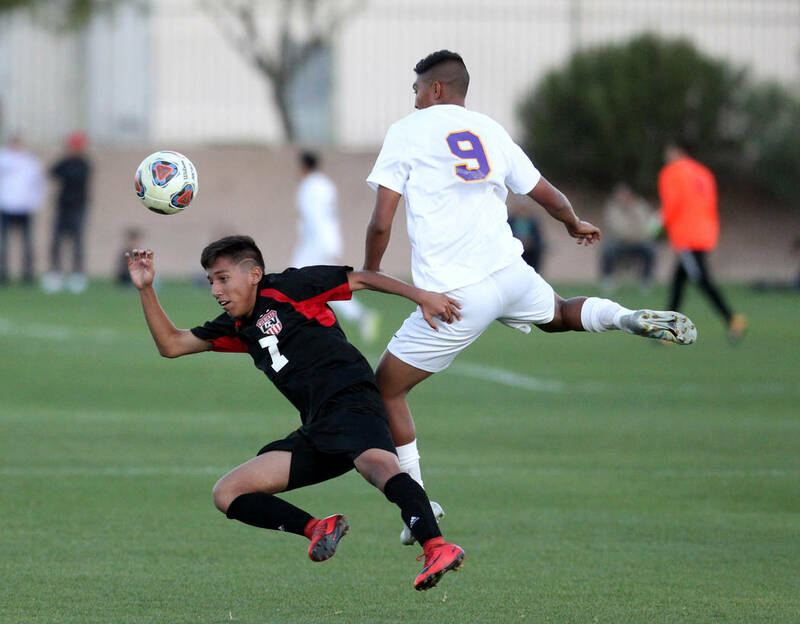 Rigo Carrasco scored in the second minute and Las Vegas added three second-half goals to run away from Durango 4-0 Friday night in the Class 4A state soccer semifinals at Bettye Wilson Soccer Complex. 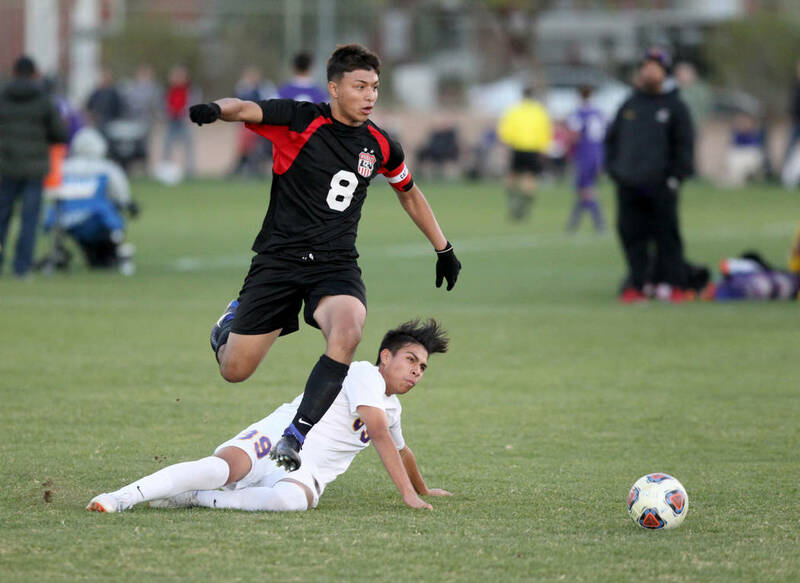 Las Vegas will play defending state champion Coronado (21-3-1) at 10 a.m. Saturday at Bettye Wilson in the first all-Southern Nevada state title game since 2014. 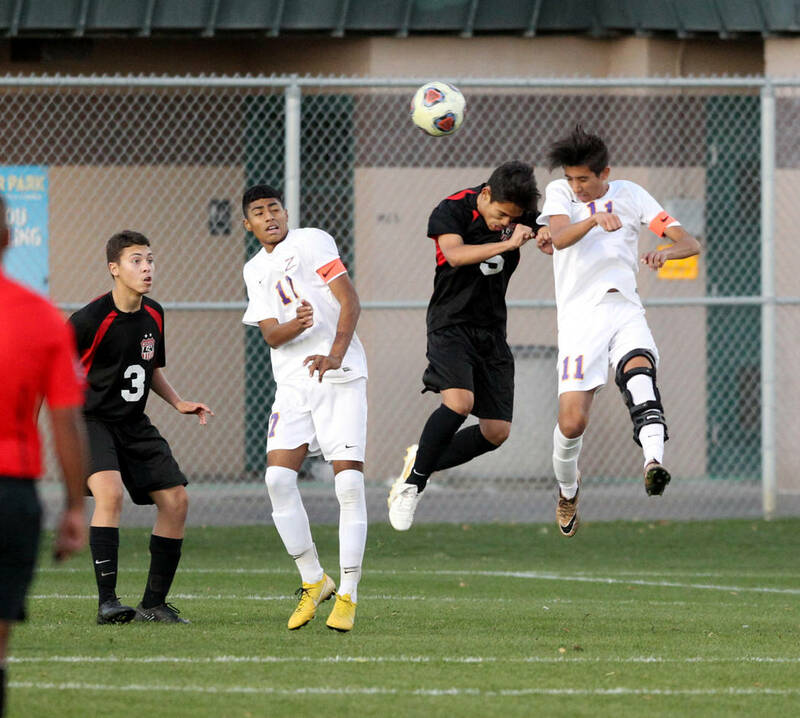 Carrasco’s early goal set the tone. Daniel Rangel fed him the ball from the corner, and after the keeper played Rangel’s pass, Carrasco tapped the ball into the net. 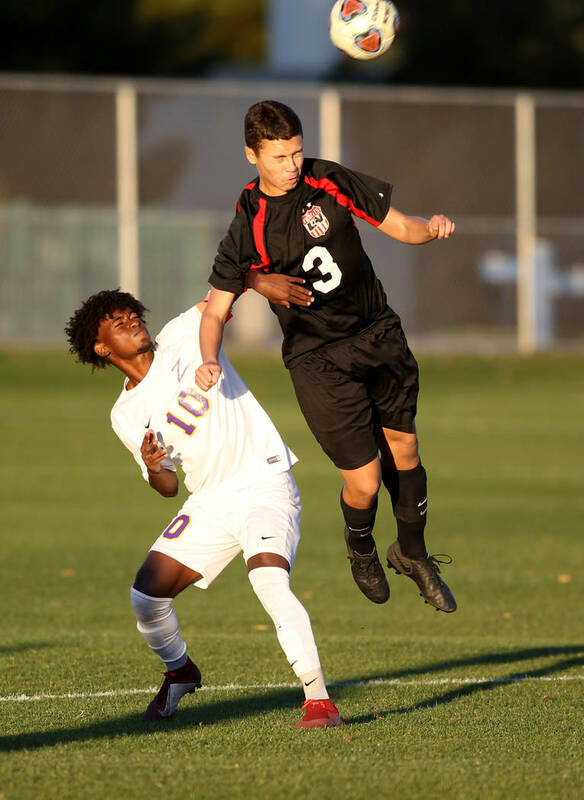 “Going into the game, you just get these nerves, and after that goal, you just calm down and realize the game adjusts to it and you keep playing,” Rangel said. 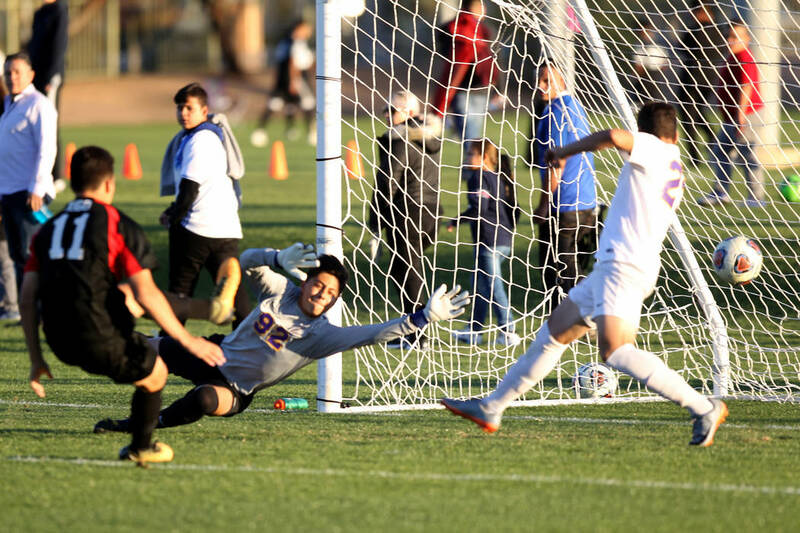 Las Vegas (19-1-1) kept up the pressure but didn’t score again until the second half started winding down. 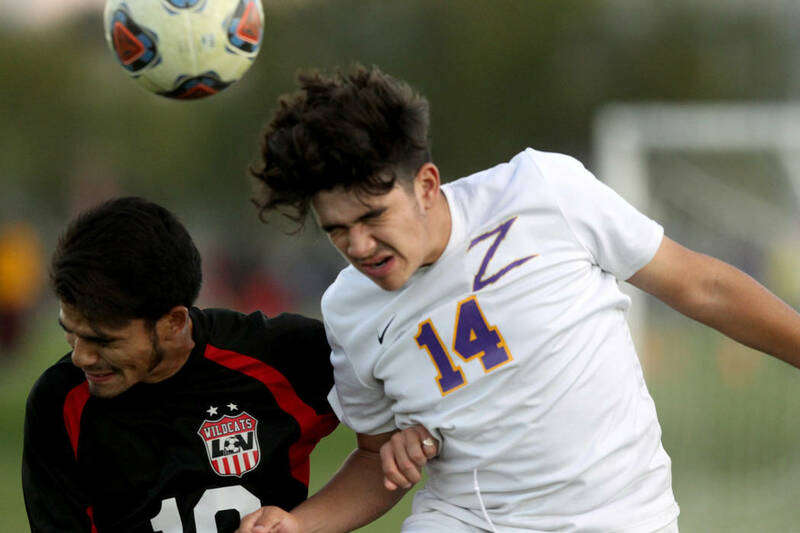 Nathan Zamora was first, firing a 59th-minute laser after Sergio Aguayo’s shot deflected off Durango keeper Jason Sotelo right to Zamora. 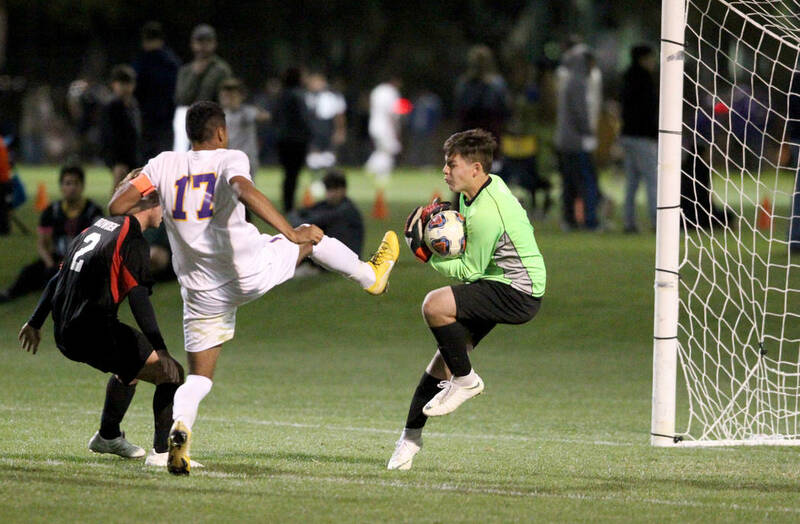 Then Rangel, who had hit the crossbar three times and was stopped by a defender in the net twice, walked across the box and scored in the 73rd minute. 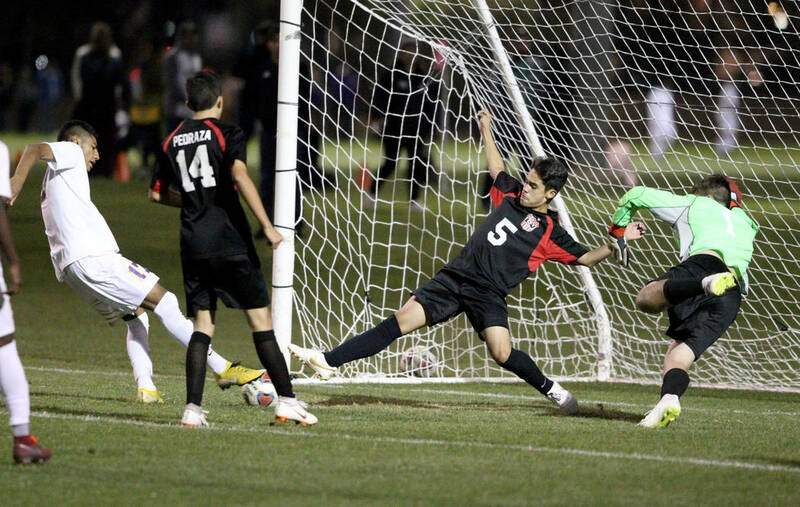 Fernando Gomez added a fourth on the game’s final play. 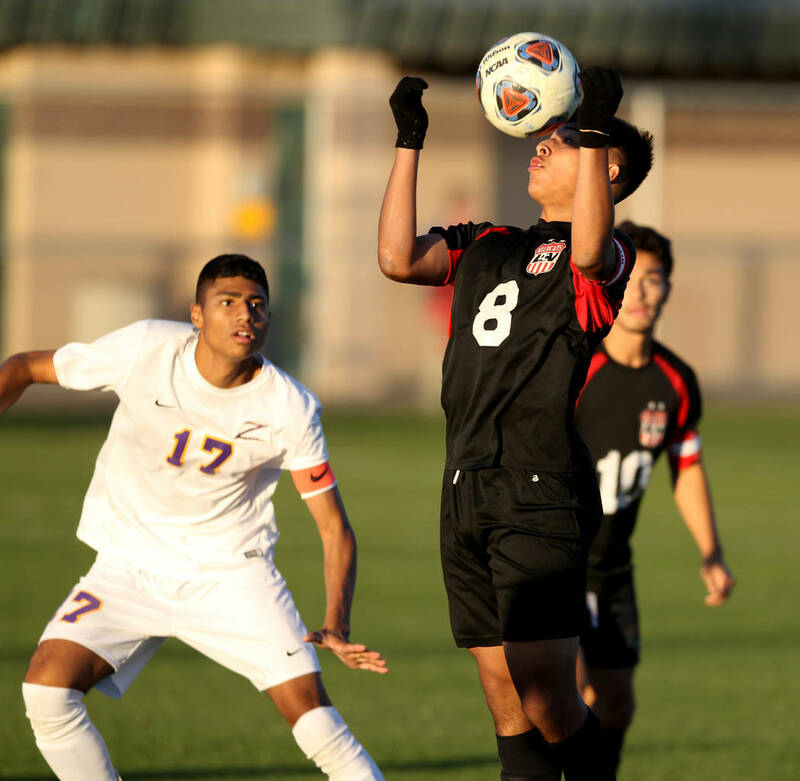 Rodolfo Gomez recorded the shutout, turning away eight shots from Durango (16-7-5). 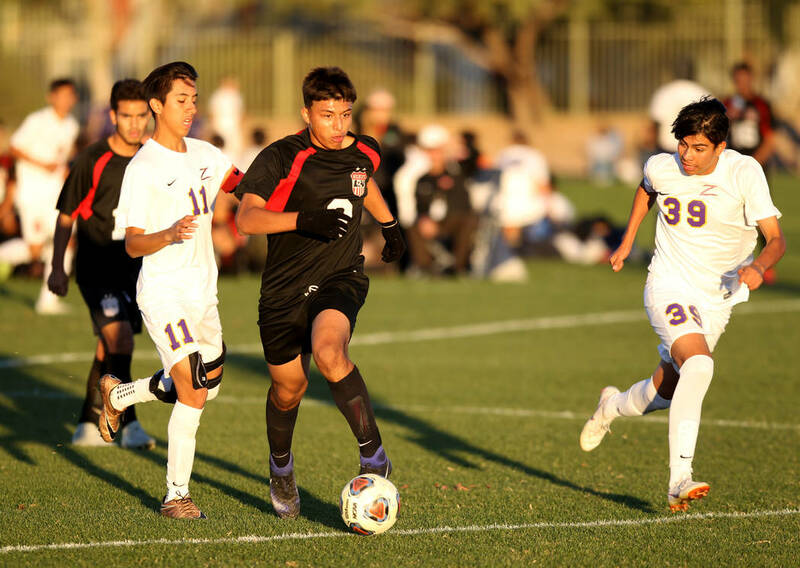 Coronado 2, Spanish Springs 1 — Javier Estrada scored both goals, including the game-winner in the final minute, lifting Coronado over Spanish Springs at Bettye Wilson Soccer Complex. 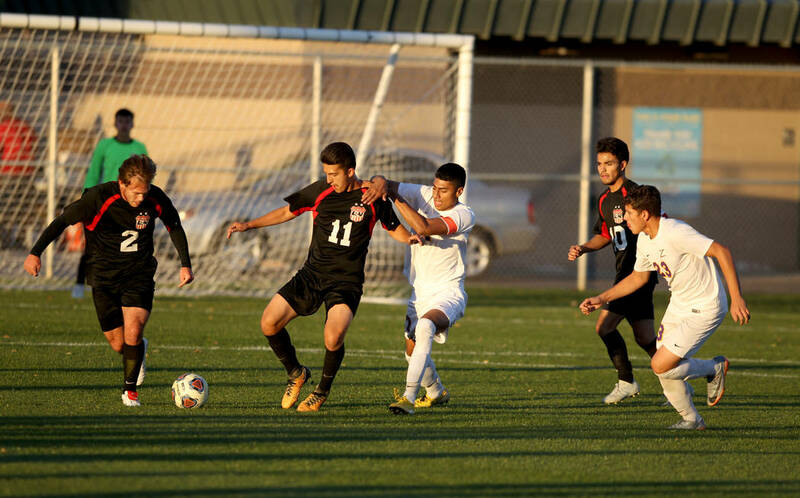 Coronado led 1-0 for much of the game, but Allen Somera’s goal in the 66th minute tied the score. 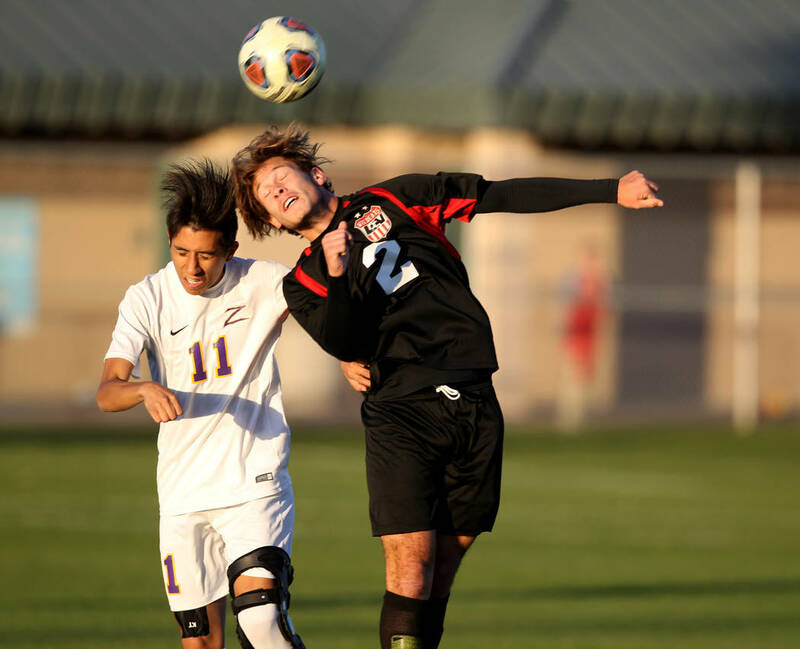 Spanish Springs (16-2) thought it had taken the lead in the 76th minute when a header by Ryan Rutherford ended up bouncing off a Cougars player and into the net. 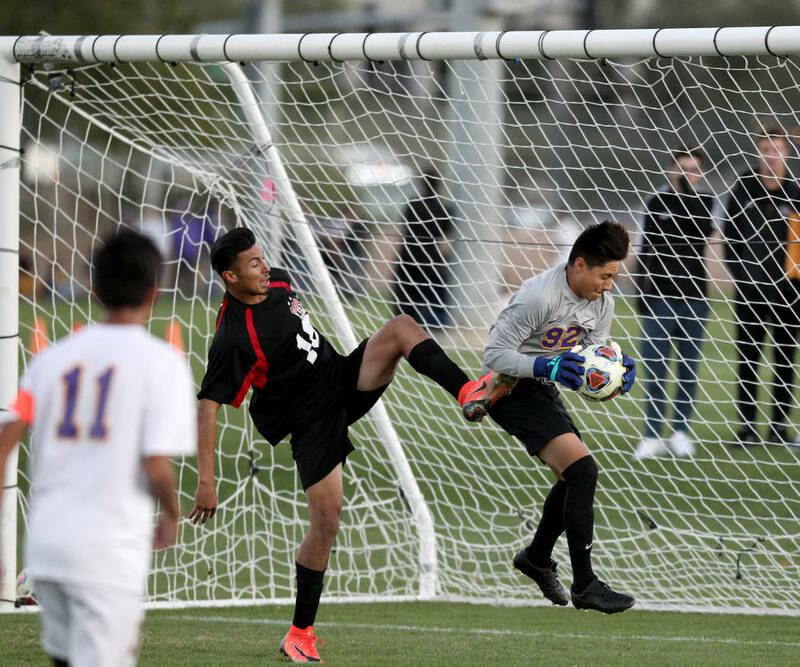 But it was ruled a no goal when the referee said a Spanish Springs player had interfered with Coronado goalie Josue Ruiz, rather than playing the ball. 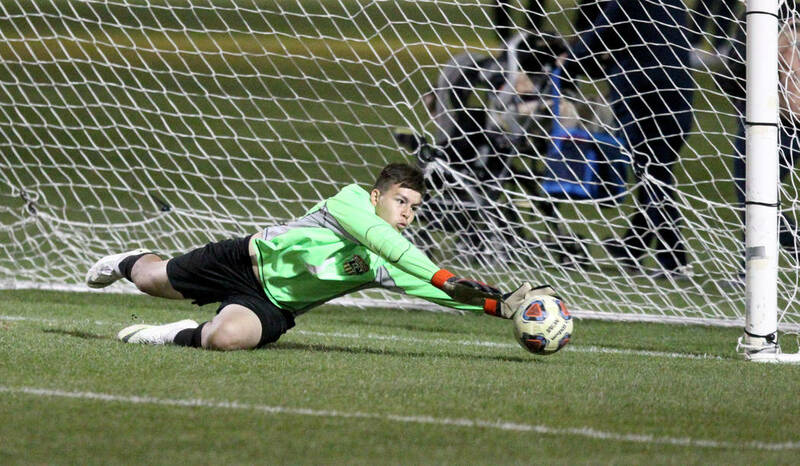 Moments later, with time whittling down, Estrada broke free with the ball down the left side and sniped a shot into the top-right corner to send the Cougars back to the championship game. “They just started pressing on us, and we were almost out of gas. 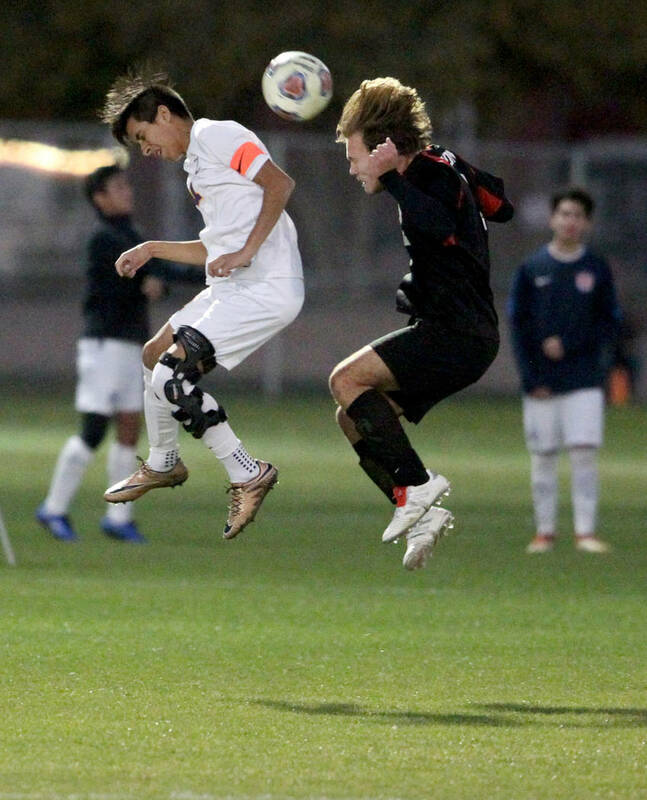 We were just flat and we were just holding on for our lives there for a while,” Coronado coach Dustin Barton said. 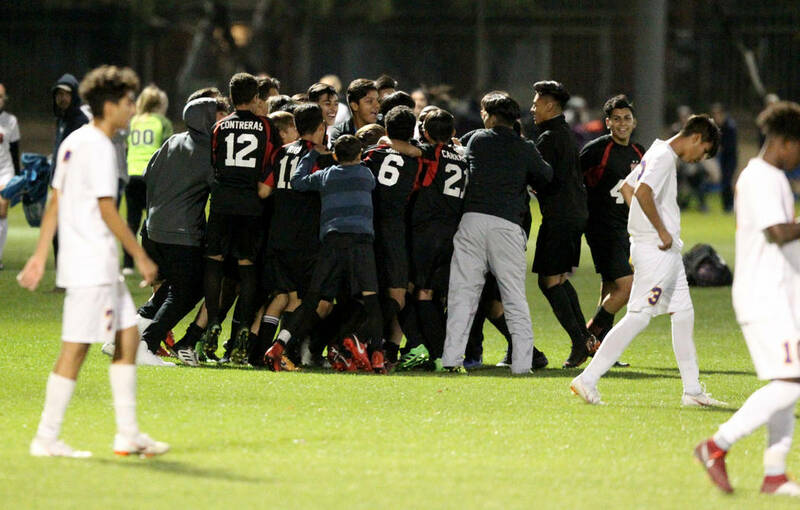 “We just got fortunate to get that counterattack and score to end it right there.